Courses are interactive. Professors engage with you personally. And working with classmates is routine. The iMBA includes both an online global classroom and a series of team projects. iMBA student Dana Kennedy on connecting with classmates and the teamwork she has seen in the program. A clip from an introduction to economics course – explaining what you’ll learn and how it will work. Join five iMBA students as they interact and ask their professor questions during a class period. A Vision for the Planet: The access point for diverse range of remarkable talent, creating rich engagement and brilliant futures. Broadening access to top-level education–including the quality of research, teaching, and the value of the alumni network. An MBA that’s democratizing top-quality education that brings the world into the MBA classroom continuously. We changed the very definition of who an MBA student is, bringing all types of talent to fulfill their potential. Recent Coursera CEO, Rick Levin, talks about the benefit of the online iMBA program at the University of Illinois-Urbana Champaign. Rick Levin’s talk about what students, faculty, and staff need to know in the era of online education. Dean Raj Echambadi talks about how universities, employers, students, and governments get in sync. iMBA program director Arshad Saiyed takes you through a four-minute run-through of degree requirements and the mix of courses and project work you’ll complete as a part of the iMBA program. As an iMBA student, you not only get a full MBA degree from the University of Illinois, you are a full member of our global network of alumni, students, faculty, and staff. iMBA students attend special meet-ups around the world, join alumni events in their area, and are always welcome for campus visits. 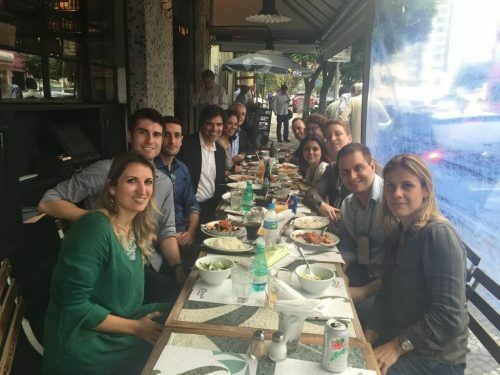 Professor Aric Reindfleisch meets in Sao Paolo, Brazil with students in his “Marketing in a Digital World” class. 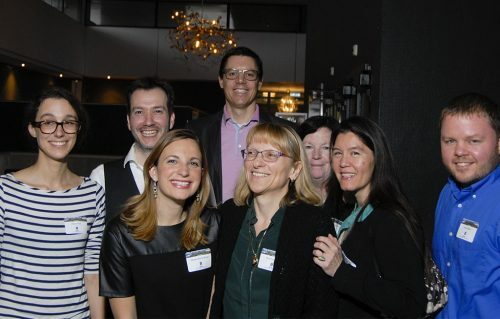 Students at a meet-up in Den Haag, Netherlands, attended by iMBA program director Arshad Saiyed and faculty. 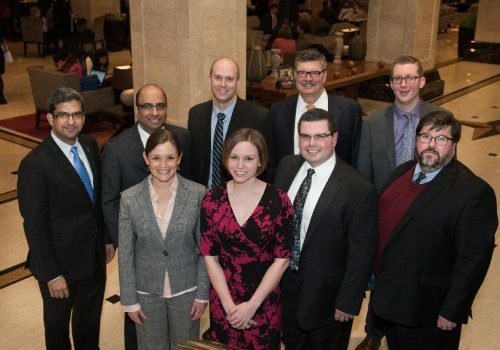 iMBA students at a University of Illinois alumni event in Chicago met each other, networked with alumni, and talked with the dean of the College of Business and other senior staff and faculty.